Want some laughs with your sunscreen? 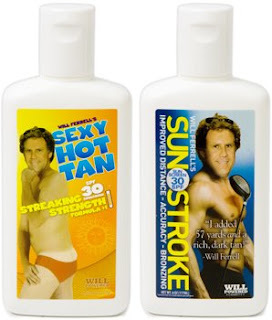 Check out this hilarious Will Ferrell sunscreen. Truly! It's REAL! And what's even better, proceeds are collected to aid cancer survivors. A good cause supported while protecting yourself out in the sun. What more could you want? Labels: Just Plain Silly, Why Not? I'm gonna get me some!! !